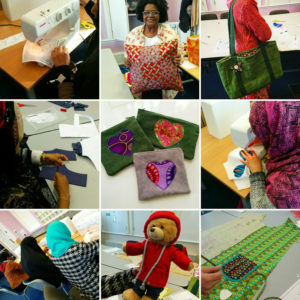 Following the success of Fabric Fusion (bag making course) and Sew Together (intro to sewing), Creative Curve asked me to work with them to create a 30 week learn to sew course at Northmoor Community centre taking complete beginners through from first steps up to making clothes using shop bought patterns. 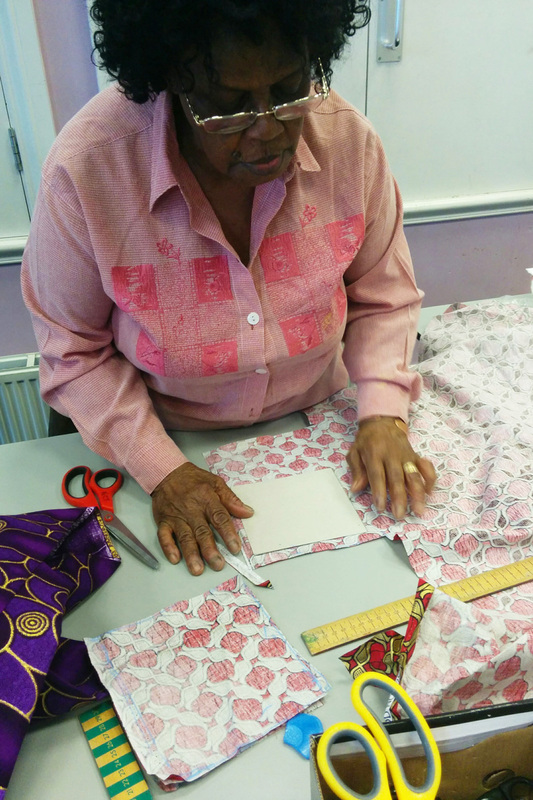 The sewing skills were complemented with business skills sessions from Creative Curve director, Charlotte Newson. Block 1: The Basics & Keeping it Straight. 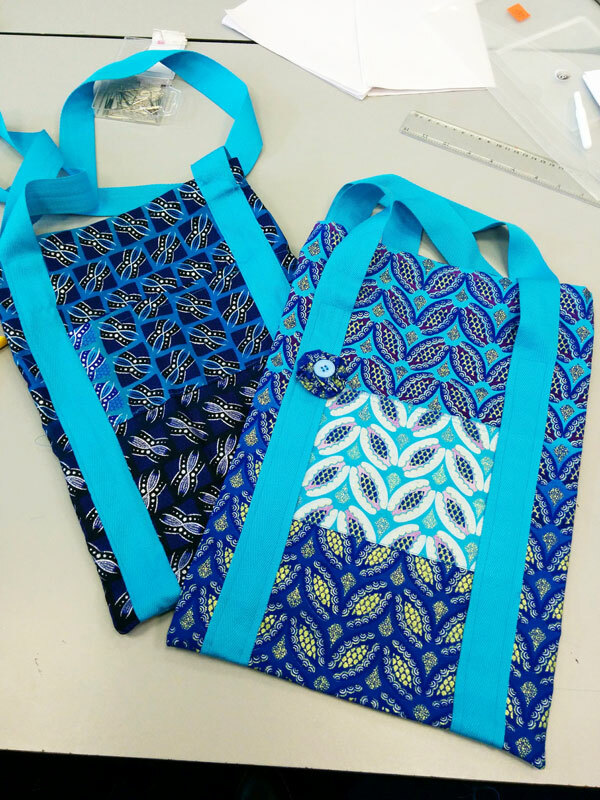 The first block followed the same steps as the Sew Together course taking them through the basics of learning to use a sewing machine properly and concentrated on perfecting their use of stitching straight lines to make patchwork cushions and lined tote bags. 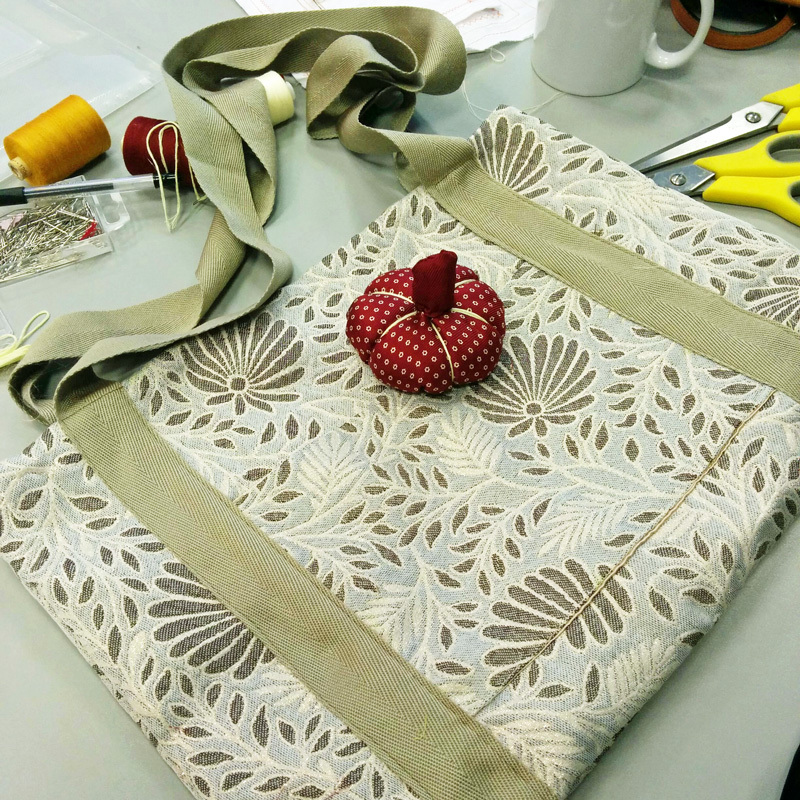 These items only needed low skills but good attention to detail with precise cutting & use of the stitch guide to give a neat, even look. Block 2: Next Step – Starting Small. 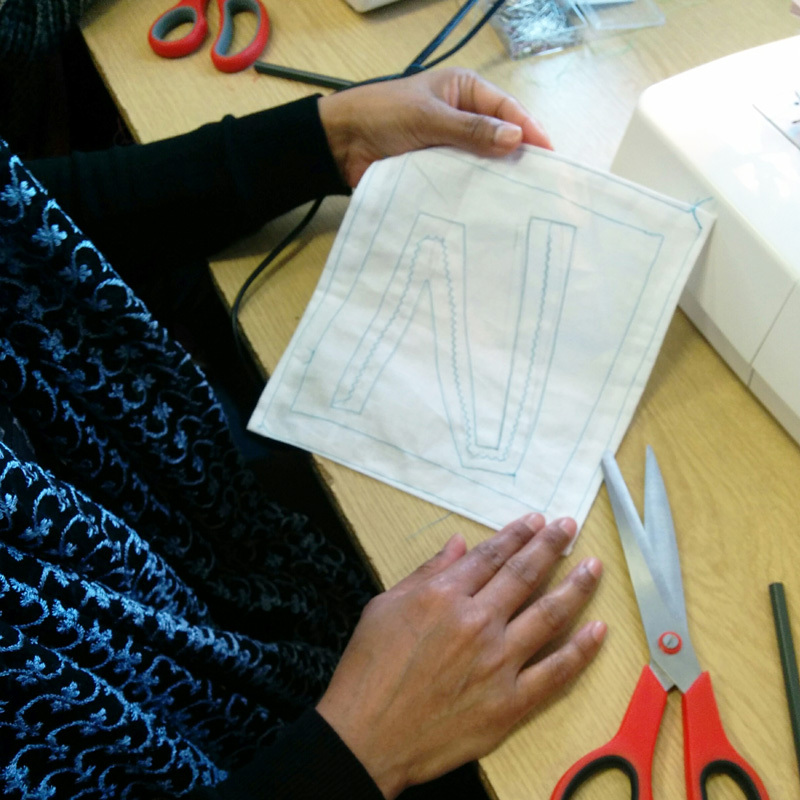 Once confident with the machines, we started to look at the skills required for making clothes such as fastenings. 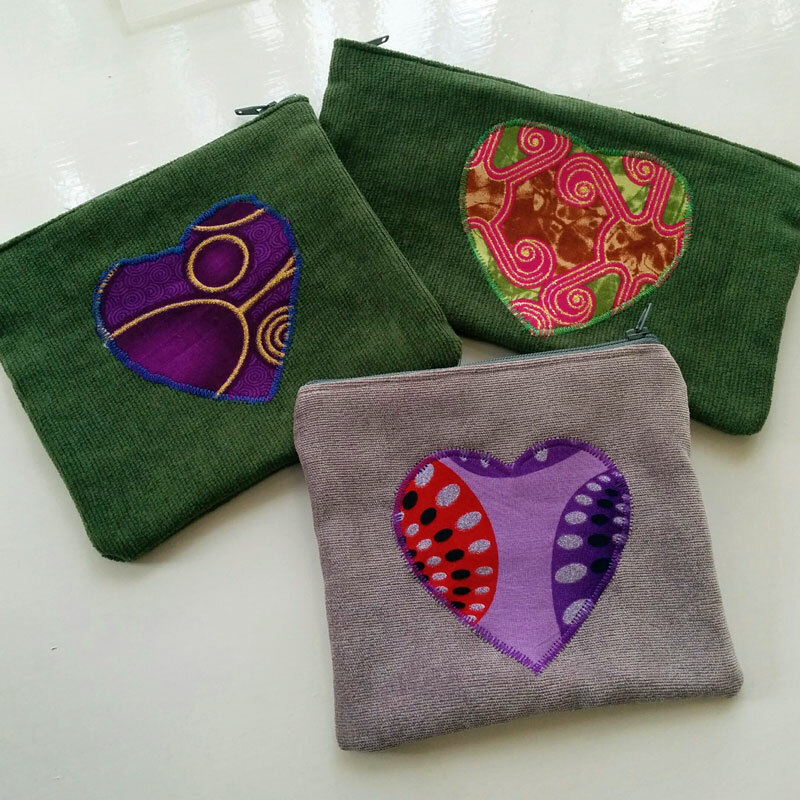 They made small applique purses combining the new skills of applique and using a zip foot to fit a closed zip with their straight stitch skills. 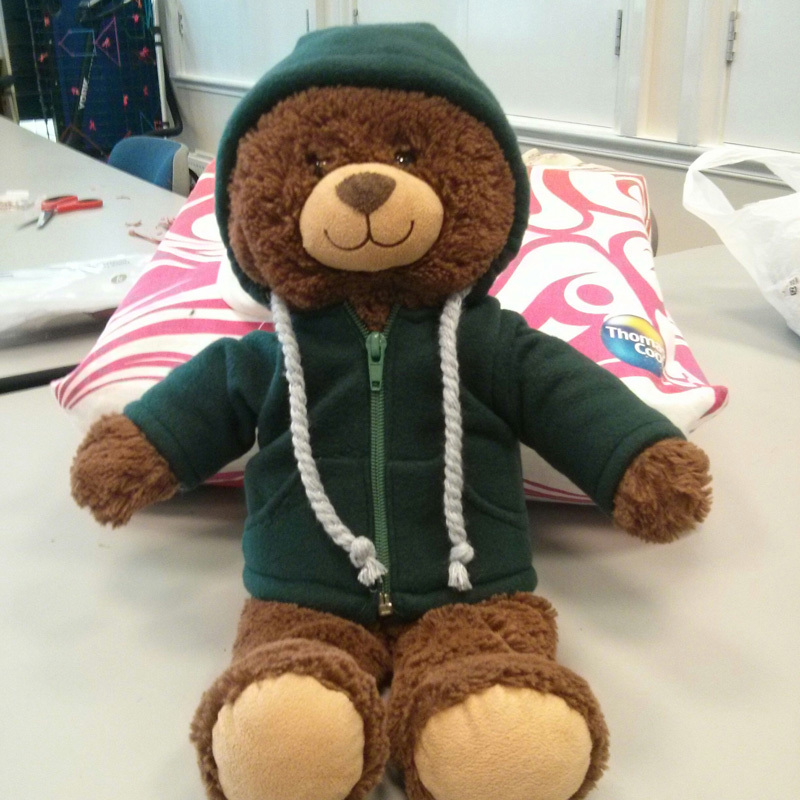 Instead of moving straight on to full size clothes, I had adapted some doll clothes patterns to fit teddy bears. 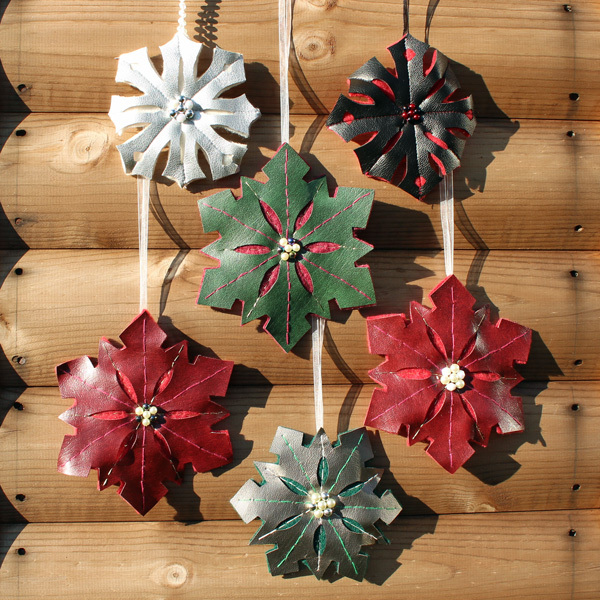 This meant they could learn the skills required in shorter time, using less materials. This meant more people could cut out at the same time and less pressure if it went wrong. 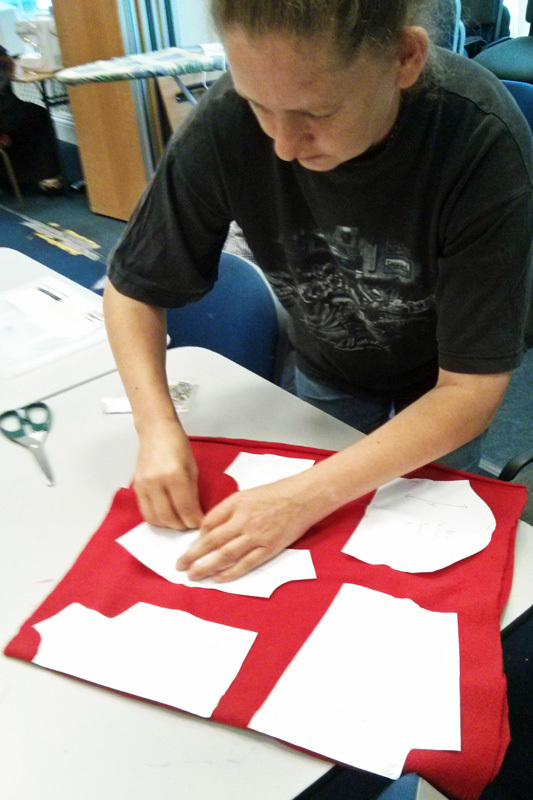 The fleece hoody introduced them to a new fabric, pockets, open zips, hoods, eyelets, drawstrings and sleeves. The jeans showed the importance of matching the grain line to the selvedge as even though the fabric looked the same in both directions, the one way stretch meant had to be made the right way. This is where making at toy size came into its own as some had to be binned having been cut in the wrong direction. 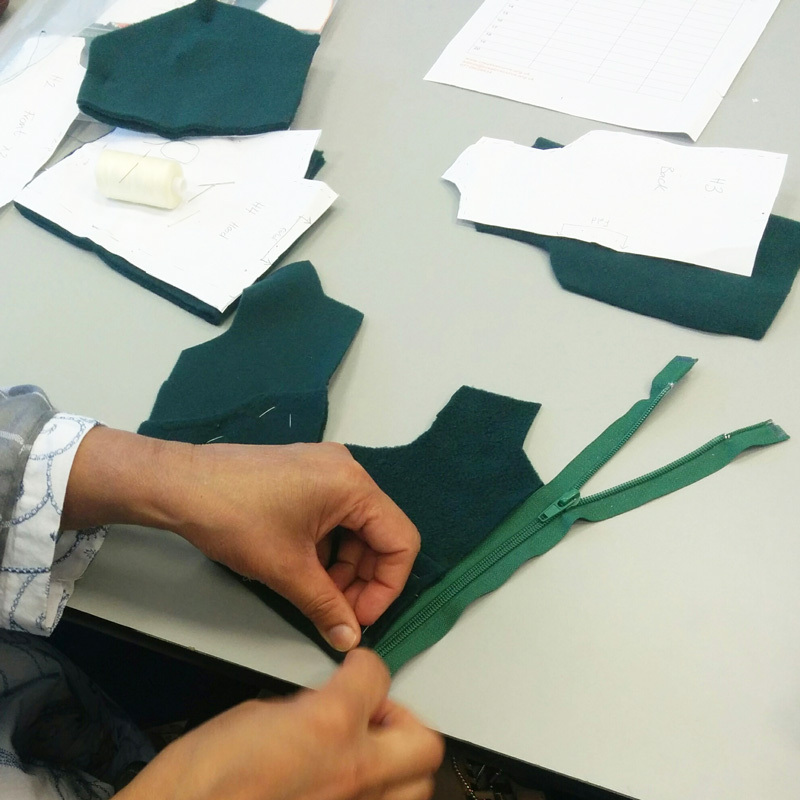 The one piece pattern showed them an easy way to create elasticated trousers which they will have no problem translating into larger scale garments. 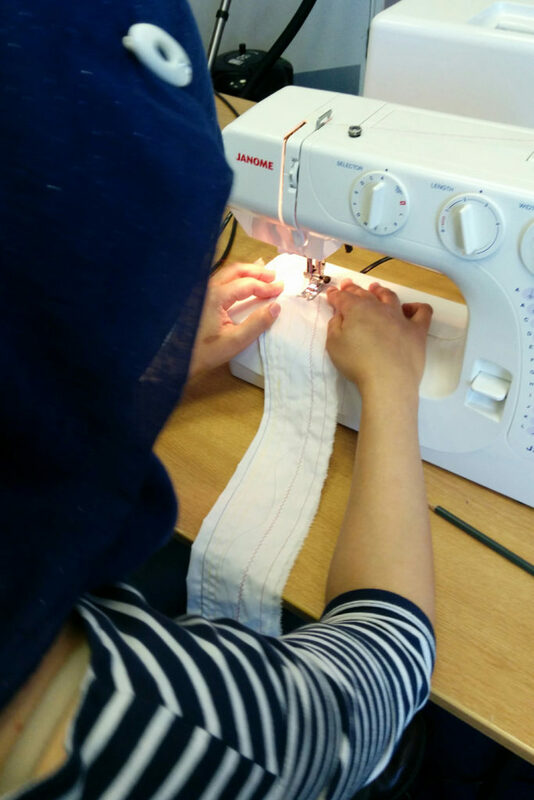 Rather than me directly showing them how to make their garments, I took them through using the instructions provided with shop bought patterns; reading through each stage with them and making sure they understood and clarified anything they didn’t. 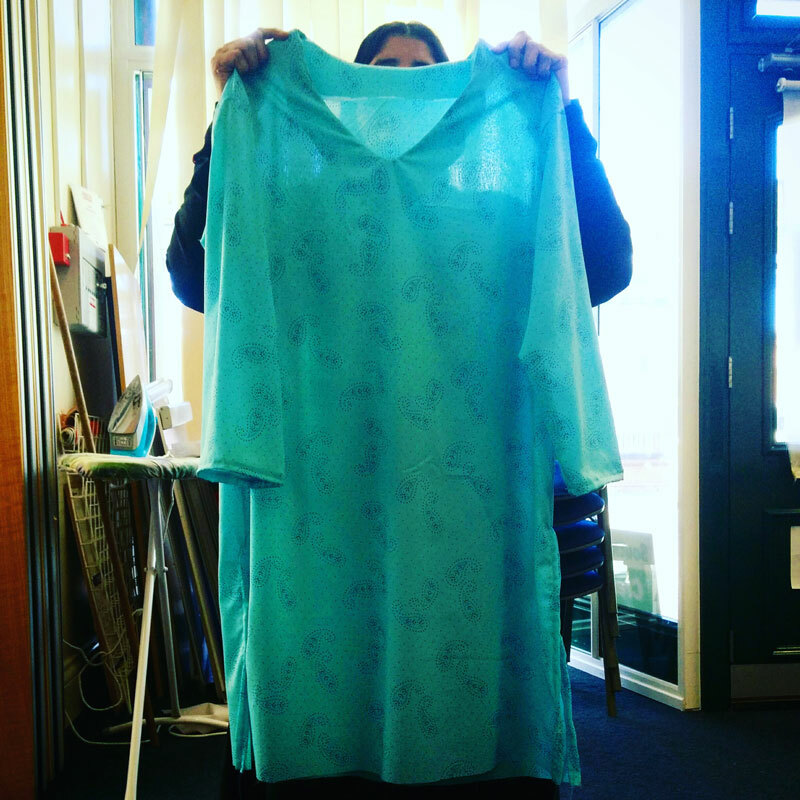 Those who had done some sewing before were used to free-styling and so had to be reined in a bit to follow and be persuaded that the markings and guides on the pattern were there to help them and make things easier rather than to try to confuse. 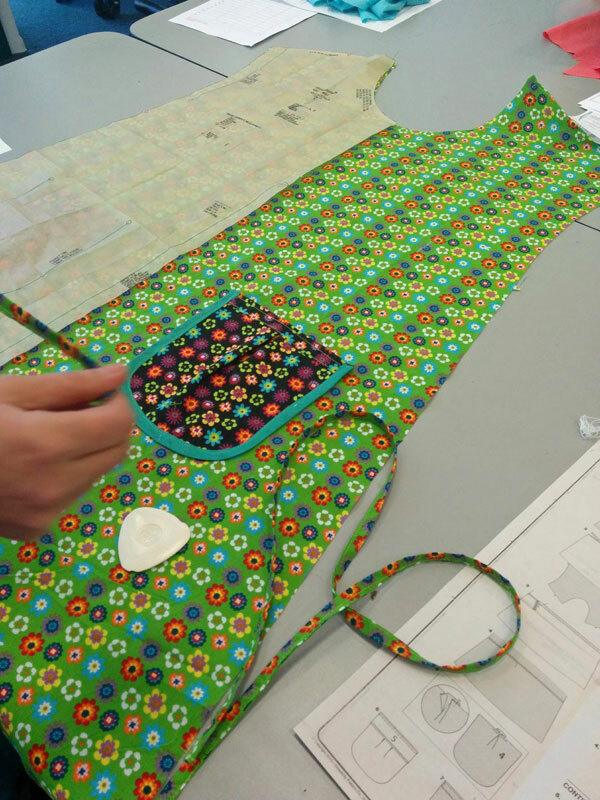 I created a guide to using paper patterns with guidelines and top tips to take away and help remember good practice when sewing using a shop bought patterns. 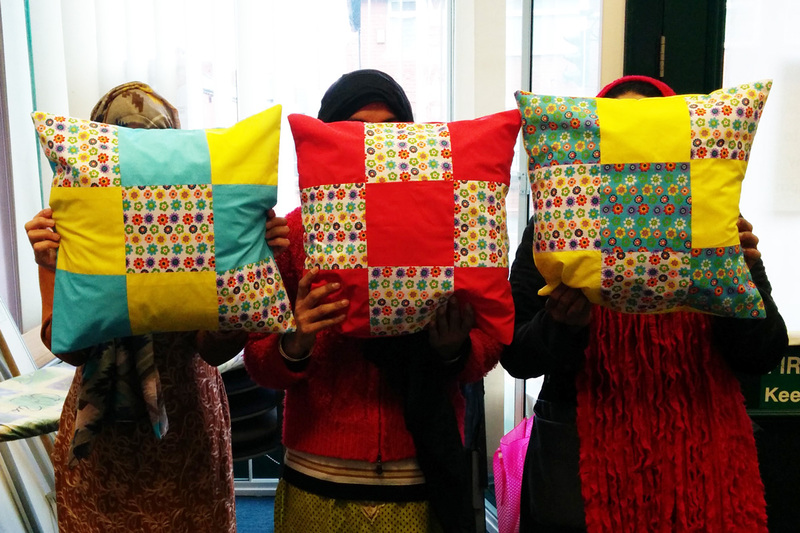 I hope they are all proud of themselves and that I have left them confident to tackle more projects at home. 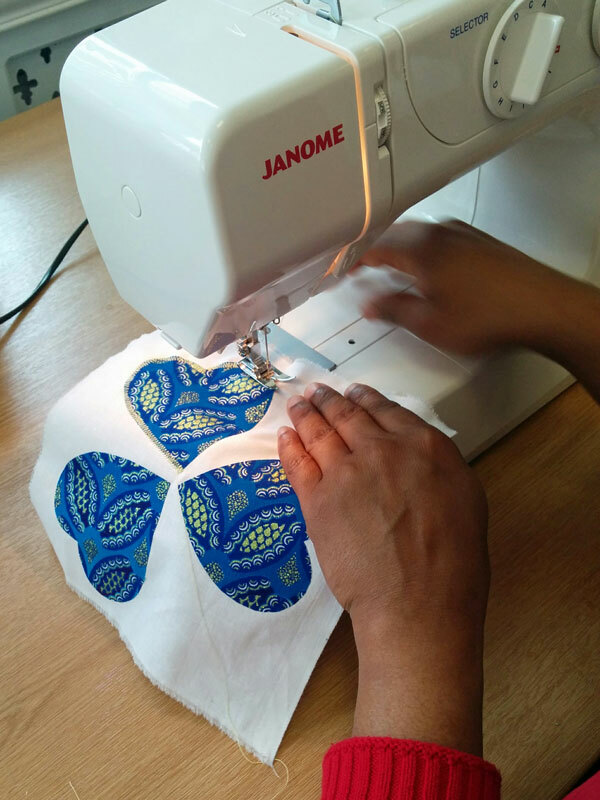 The different elements of this course can be run as individual workshops or combined to make a new course for your group or venue. 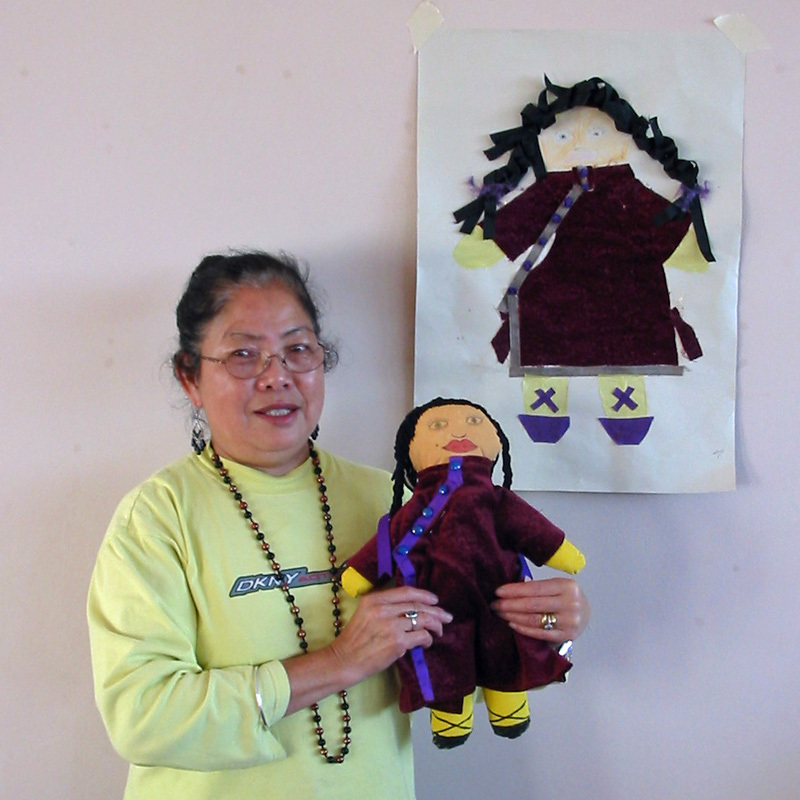 I can run a range of workshops teaching people to make dolls and toys. Toys do not need to be for children, grown ups like them too. 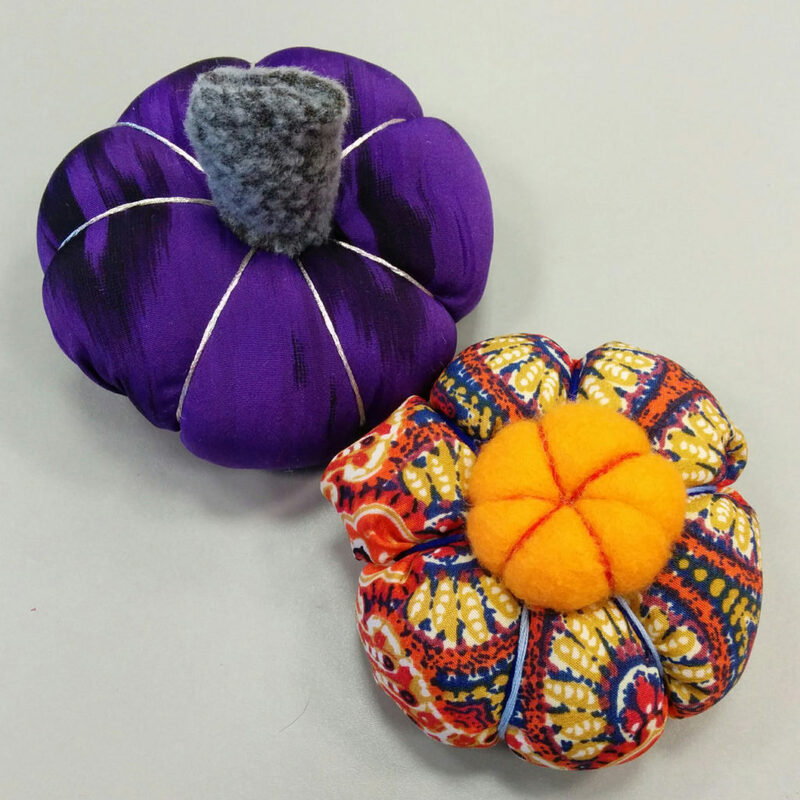 As well as craft skills, these can be used to look at gifting, identity, aspiration & cultural or historical themes. 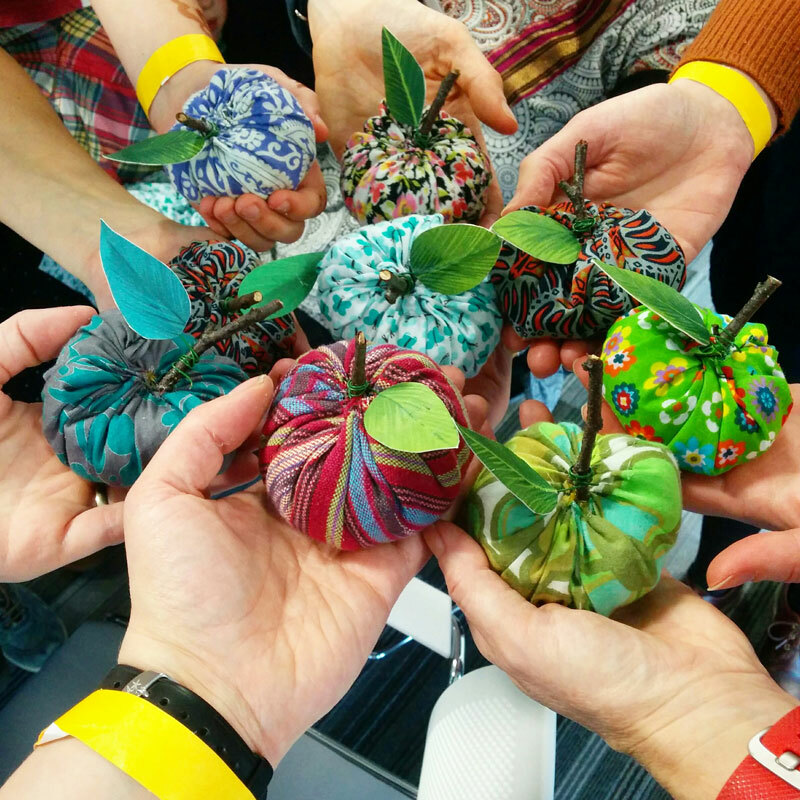 Create a beautiful fabric apple to use as a paperweight or pincushion. 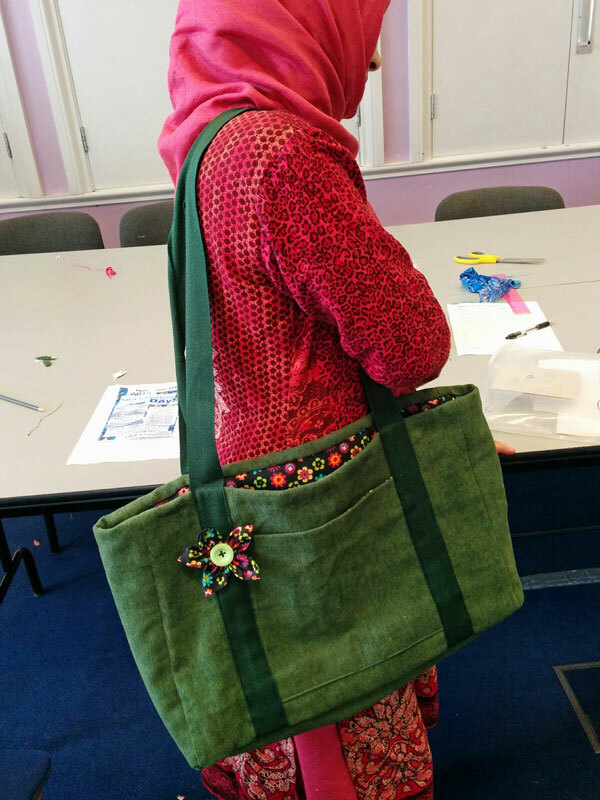 Encase a secret message at its core and embellish with embroidery and beads. Decorations or brooches using my cut leatherette and fleece technique embellished with buttons, beads and stitch.